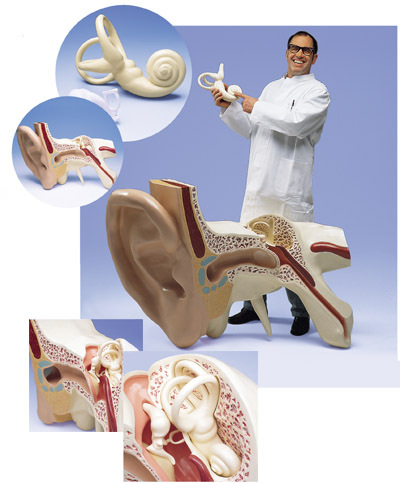 At 15 times life-size this anatomical model of the human ear is suitable for museums, special collections, large lecture halls, conferences and exhibits. Representations of the outer, middle and inner ear. Dissectible into three parts. The auditory ossicles and the labyrinth with cochlea and vestibulo-cochlear nerve can be removed and studied in detail. Comes with base.